What does it mean to be an African today? Starting from that question the author takes the reader on a fascinating intellectual journey into the realm of Pan-African thought and practice. Moving from Africa to North America to Europe, the text insightfully explores the pre-occupations of black elite, in the three continents, exploring their shared visions and also their conflicting interests. Tackling thought provoking issues in politics, cultural identity, and economic development, the book provides the reader with a refreshing, jargon free insight into relations between Africa and the African Diaspora. A must read for anyone interested in politics, identity and development in Africa and the African Diaspora. 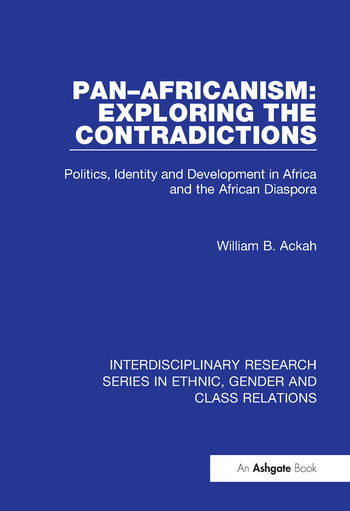 Contents: The search for identity; Pan-Africanism: the African Diaspora and the reality of Africa; The regional trend in Africa and the world; The Diaspora dilemma and Western perception of the African crisis; The impact of African-American culture on the formation of global black identities; Breaking old ties and laying down new foundations in Africa and the Diaspora; Bibliography; Index.